May God bless your family and your department at this time. I was shot during the execution of a search warrant. This job can be very dangerous! Peace and Love! Thank-you for your service and your sacrifice. Thank-you for being willing to lay down your life so that those of us who remain can live in safety and peace. I grieve for the loss your family and friends are feeling, and I pray that they will feel the love and support of the community. Great love has no one than this than to lay down his life for his friends. You are lifted up in heart, thought and prayers. May God comfort, hold you close and give you His peace that surpasses all understanding to keep your heats and minds through Christ Jesus now and always. Thank you for service. I have lifted your family to God every morning for over seven years. I pray that Matthew's life and death will bring glory to God. Thank you for your service and sacrifice. May your friends and family find peace in your life of service to your Country, and community. Thank you for your service to your community and your ultimate sacrifice. You will forever be remembered. RIP BROTHER GOD SPEED TO GOD SPEED TO AND YOUR FAMILY!! 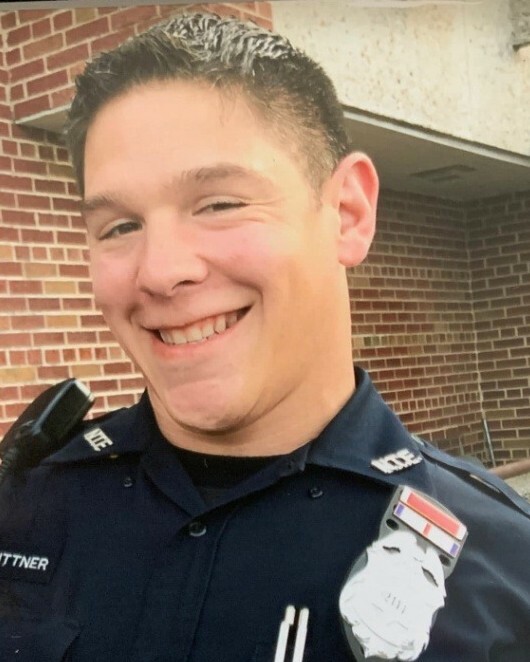 Officer Rittner, So sorry for your LODD and the Ultimate Sacrifice that you made to the citizens of Milwaukee. May GOD bless you and your family (Blood & Blue) abundantly. You will be missed but not forgotten. Rest In Peace Brother!!! May God Bless your family, friends and coworkers officer. Rest in Peace Officer Rittner. Thank you for your Service! God speed my brother. We got it from here, thank you for your service. Thank you for your service Officer Rittner, may you Rest In Peace. Rittner family and friends may God grant you all with a speedy healing. Officer Rittner thank you for your Dedicated Service to your Country,Community and Department. Most of all for your Ultimate Sacrifice in the Line of Duty. Lord God, our hearts and prayers go out to the Milwaukee, Wisconsin Police Department and for the family, friends, and colleagues of Police Officer Matthew Rittner, of the Milwaukee Police Department, who was shot and killed in the Line-of-Duty on Monday, February 4, 2019. Father God, have mercy on us and their souls. Rest easy my Brother-in-Blue. We will take it from here! Now, join the Lord and rejoice in Paradise! God speed! Amen. Final Salute Officer Rittner. Thank you for your service. You are a hero. Rest peacefully in the presence of God. We are praying for the family and fellow officers.